Few weeks back Facebook started updating Timeline feature for all users. Some people don’t like this new Facebook Timeline Feature. There is no Option to Go back to Old Profile Layout. Most of the people Mailing us regarding “How to Disable the Timeline” so we came up with this post. 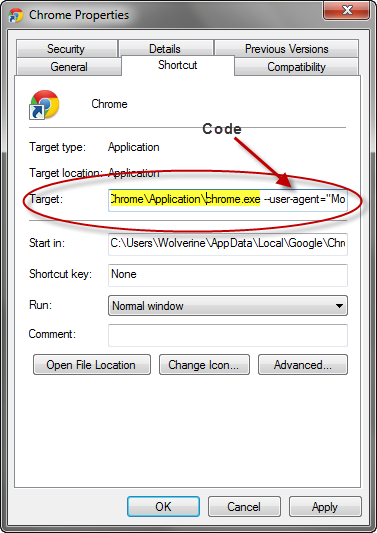 Before that You should know its not the permanent solution and it only works in your browser, because we are going to do simple trick in your browsers. So others can view your timeline, but u can’t able to view Timeline. it’s not working for google chrome ! it says “the name specified in the target box is not valid” im sure i followed every step. btw im using chrome, windows 7. You should not remove the URL there. .u should add the code extra at last by giving one space. You should not remove the URL there. .u should add the code extra at last by giving one space.. This is just on your own computer and not other! yup this trick is just aroud your browser in present it,s impossible to remove time line . when time line was on beta version that time we can remove it from developers page but now time line is live for use . so it,s become permanent in present we can’t remove it till facebook provide a way to remove it . I play on a Mac, but I use Firefox, is there any way to disable it from there? its working on firefox but not in chrome………………..
Hi Vincent, I want to disable my facebook timeline, please give me the tip. its working in firefox really nice Thanks…a lot..
it will not help … help me pls ! its working jst for me !! but my friends still see timeline on my wall 🙁 tell me how to solve this problem !! Yep, works for me! Thank you so much! It’s silly how much false information is out there… Again, you are a lifesaver! awww not working yr …….. Thank Yoy so so much! It is not working.After inserting the code,My chrome is showing the message “Oops! Google Chrome could not find m” and I couldn’t even load any pages.Please help me. I did it , just now !!! –user-agent=”Mozilla/4.0 (compatible; MSIE 7.0; Windows NT 6.0)” code. I followed the instructions, and yes, timeline is gone, but when I click on my fb profile page the whole page is empty besides pic, and need to scroll way down to see activities. Also, google chrome isn’t recognized as such and when I start it it suggests me to download Google Chrome, cuz I’m using Internet Explorer, which is not true. K.. well.. i did it and like before i copy and pasted the code thingy, i accidentally deleted the original like website thing there (i dont know what its called) so what do i do now? What browser and what Os u r using? What browser and what Os u r using?. 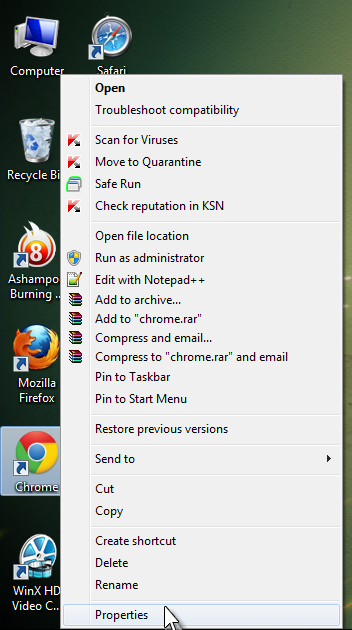 I try this for chrome browser in XP, bt it shows that it in “Invalid”….what to do?? Sorry i didnt Tried this in XP. but i heard its working on XP.. .what the problem u get Lenin? The name i gave i.e “C:Docu…..” specified in target box is invalid. It ask me to make sure that path and file name are correct. Sorry i didnt Tried this in XP. but i heard its working on XP.. .what the problem u get Lenin?. Its not working and I want my Old FB back please…………. it is not working in google chrome. Yeah! It works! Now I don’t need to see the crap timeline anymore … so disturbing! Very nice tips ! Going to apply on my Facebook. it does not works for me in error windoew make sure that path and file name are correct. same like you . please inform me if you got the solution of the error. there is a space at the top ???? Bakwas tips.. I failed..Am so sick of timeline..Damn facebook.. Amazing!!! but I have difficulties following your codes,won’t work. Thanks for the guidance on how to remove Timeline. It worked and I am happy to have my old FB style. this hack is only a local change. any way that’ll keep timeline out GLOBALLY? does not work for google chrome! Note the beginning of the line should be two hyphens, not the long dash. Also, the quote marks should be ordinary (straight) quotes, not “up-down” quotes. Not sure if it will work, but at least as far as the syntax is concerned, this is the proper way to write that line. This code does not work on google chrome and if it does please post a video to youtube to show exactly how to fix as facebook is doing my head in thanks with timeline. Will try this and see that if it works or not. BTW thanks for sharing bro. where is the updated code???? This does not work for Google Chrome as stated. I did everything in each step (twice) and it didn’t work. Some Facebook users are not quite happy with Timeline. 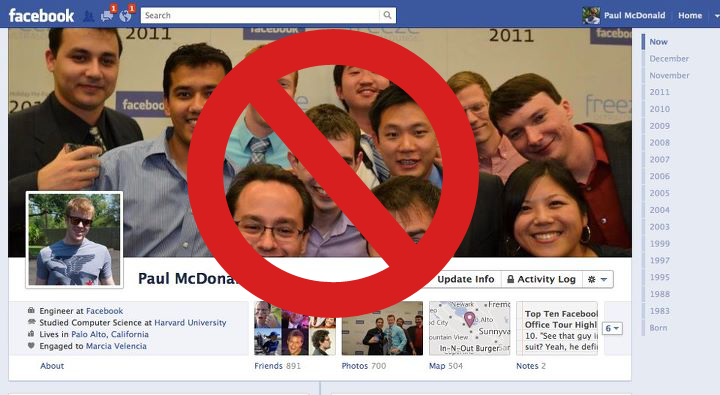 These simple tricks will make it much easier to go back to the old FB look. Thanks for sharing. doesnt work for google crome? whats the code exactly fro xp? code doesnt work for Google crome can you please send what i need to put for xp? actually i’m feel difficult to use new facebook timeline…thanks for ur help..
Not all Facebook users are happy with the Timeline format, I for one wants to have the old FB back! Which settings you are talking about? Gosh, I’ve been looking for so long to find a way and disable my facebook timeline, that annoys me so much! I’ve regretted bitterly ever since I was told to try it out and never could go back to the old outlok. You can not imagine how helpful your advice is for me and it works perfectly fine for me,as long as I am not going to see the timeline on my profile. I am using google chrome so it should work:)Thanks a lot! Does the people who view your facebook, see the timeline or the old facebook layout? Please answer! Does the people see the time line when they visit my profile ? i want to add my work info in my facebook page but it doesnt show me information regarding my work.and just showing me i adding work portion just “No Work”.so please anyone can help me. Thanks a lot it really works. keep up the good work . Best trick ever..! Timeline is one thing about Facebook which I didn’t like. I hope it takes a while for Mark to make it mandatory. it doesn’t work for mozilla. anyone who appplied it and it worked successfully for mozilla?